FAB. Acronym for Free Art Bureau. An association similar to the French Algorists. - Main activity: a blog, but also workshops, conferences... documentation and technical assistance. - Chair : Mark Webster. Contact : info@freeartbureau.org. Fabfest. First session in Gaîté lyrique (Paris), March-April 2012. > Les fables géométriques (1989). A TV series, fully in synthesis images, produced by Fantôme from 1989 to 1992. The Paris ACM Siggraph page. Fabre Xavier. Architect. Wikipedia (in French). > Centre international d'art du du paysage de Vassiviere (1991) , by Aldo Rossi and Xavier Fabre. Wikipedia . Quoted by Terracol with picture and geometric explanations, for use of spiral and cone combined. Fabric|ch. Architects agency. Associates : Christian Babski, Stéphane Carion, Christophe Guignard and Patrick Keller. > Perpetual (Tropical) Sunshine (2005) [Moulon] pp. 75-76 with a photo. Map, site and network installation. La fabrique. A Cultural Center in Nantes (France). Fabrique Nomade. Created in 2013, this group of electronic chamber music aims to find back the gestures and listening moods of the classical chamber music. Generally, the contemporary electronic music lets the sound of "hyper" instrumentists of contemporary electronic music be controlled by a computer professional. Here, each member of the group controls his/her complete sound production via one's own computer. At present (4/2013), the group includes : Anne Cartel (flutes),Francis Faber (digital instruments), Etienne Graindorge (sound engineer), Martina Rodriguez (cello) and Szuhwa Wu (violin). > Fabwall (2011). "Augmented" wallpaper, launched by Jean-Louis Fréchin in 2011. - Facebook in transmedia, some notes in [Bernardo], notably pp. 99-101. > The social network (2010). A film by David Fincher. Fach Ole . Architect and net media. Fagg Andrew. Siggraph 2006 : Presentation : sensors networks and Net art. - He "is the author of the hypertext novel A Dream with Demons and collection hypertext poetry, Sea Island, both from Eastgate Systems. He wrote the short story collections Acid (1996; winnner of the Richard Sullivan Prize) and Plato at Scratch Daniel’s & Other Stories (1990). Falco teaches writing and literature at Virginia Tech and edits The New River, a journal of hypertext > A Dream with Demons (1997). A hypertext novel. Fall N'Goné. Curator and consultant. Fall Samba. Animation. "He does not consider himself a digital artist, but as an artist using the different mediums he can afford, choosen according to the topics he wants to develop". Artmajeur page. > Consomania (2008). Quoted by [Dermineur]. > Force (2018). See our post. > There and back (2010). > Sio Benbor 2. (1988) directed by par Renato and Georges Lacroix. The Siggraph page. > Sio Benbor (1987) A short film by Fantôme. The Paris ACM Siggraph page. > Bodyscape (2017), by Behnaz Farahi. A gyroscope at shoulder level tracks the moves and translates them into visual scores according to lines of skin tension. Faraldo Angel. A composer, sound artist, improviser and digital instrument designer. > Feedback Study#4 (2012). Played in CAC3, Paris, Fall 2012. Faria Vilas Boas, Mateus de. Painting, from Photoshop up to nearly abstract. Quoted by [Book], winter 2011-2012. < The geometry toolbox for graphics and modeling. by Gerald Farin ad Dianne Hansford. :AK Peters, Mass. USA 1998. Not really useful. > Celtix-4 (2003). (evoking Escher) [Wands]. > Deep Play (2007). 8 pages with pictures in [Algora]. Farr Ju Row. A member of Blast Theory. Farrell Malachi. Perhaps more kinetic and architecural than digital. > Zeotrope (2013). A digital version of Praxinoscope. > Since 2000c. for digital art. F.A.T. Lab. Free Art and Technology Lab. "an organization dedicated to enriching the public domain through the research and development of creative technologies and media. Release early, often and with rap music. " Ceased its activities in 2015. Fauduet Louise. BNF, Head of the Multimédias department. Many scientific communications. > Aispace Tokyo (2007). Covering a building with art evoking vegetation, with ecological effects. Described by [Iwamoto]. Faure Arno. Video. Presentation in Creanum, june-july 2011. > Derrezed/DaftPunk (2010 c.) Clip, notably on Vimeo. > Defragmentation (2000 c.). Various works based on combined photographs. > La Dérive des Continents (1990). Text display on screen, where animation builds or changes the shapes of the words, mimicking the named object behavior, or builds constellations according to the graphical shape of the letter. - Quoted by [Berger-Lioret] p. 53. Faure Elie. Historian and art critic. < Fonction du cinéma. by Elie Faure. Editions d'histoire et d'art, 1953. Augmented edition , Gonthier 1963. This books contains a chapter "Défense et illustration de la machine", vividly foreseeing and lyrical. Faure Walker James. Painter and writer. Siggraph profile. > Villadora (2009). Archival inkjet print. < Painting, the digital river. Prentice Hall 2006. Fautrel Pierre. A founding member of Obvious. Favand Jean-Paul. Founder of Musée des Arts forains. (Paris Bercy) Wikipedia. < Virtualia, Féeries numériques, par Jean-Paul Favand. Catalog of the show in Centre des Arts, Enghien-les-Bains (France) 2013. Our report. > Saint-Etienne du Mont (2010 c.). Animation of a diaporama canvas with computer controlled lights. FDG . Les films du Genièvre. Infography education. Fdili Aloui. Ircam et Limsi. Featurit. A website to favour musicians meeting musiciens. Created by Jean-Patrick Allouche. - Psychophysics creator. He takes it further with Zur experimentellen Ästhetik , 1871 (For an experimental aesthetics ), and Vorschule der Ästhetik , 1876 (Introductory aesthetics course ). He may be considered as the forerunner of experimental (or empirical) aesthetics. .
Fédurok. Fédération nationale des lieux de musique amplifiées/actuelles. > From the Cube Series (before 1976). See an image in the Recode project. Fei Cao. Video and computer. > RMB city (2008). Wikipedia. A very long work. > Self-Portrait in the Center of the Universe (1998). Virtual reality. > The surprising spiral (1991). [Grau]. > JCJ-Junkman (1995). [Greene] p. 28-29. > Sinking feeling (1990 c.). Fémis Ecole nationale supérieure des métiers de l'image et du son. Formerly called Idhec. Fenster Diane. Prints on paper. > I could'nt stay in Miami (1994) [Wands]. < Banques de données et hypertextes pour l'étude du roman. PUF 1997. Ferretti Ercolino. Music. Cited by [Baudouin]. > Pipe and Drum (1963). Fetter William. 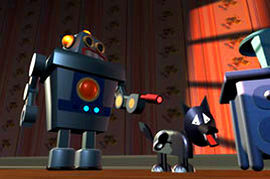 Animation cinema. More a technician than an artist. - In the early 1960's, he makes for Boeing small animation films, starting from drawings on a plotter, aiming to ergonomic enhancement. Quoted, with drawings, by [Youngblood]. 1968 according to [Masson]. Fiadante Miguel Procession. + collaboration + traditional Indian puppets + 3D printing. - High resolution work, followed by Maya enhancing. Fiam. Fédération internationale des associations de multimédia. (International federation of multimedia associations). Ficam Fédération des industries du cinéma, de l'audiovisuel et du multimédia. Federation of cinema, audiovisual and multimedia industries. Field. Experimental development environment on Macintosh. See [Berger-Lioret] p.170. > Bodies@INCorporated (1995). In collaboration with Robert Nideffer (interface designer), Ken Fields (sound artist) et Jason Schleifer (programmer). Financed by Viewpoint Data Labs. Performance. [Paul], [Greene] p. 108. - Bodybuilding (1998 ) Quoted by Bootz. - Arbeit an Bildern / Bodybuilding (1997), Quoted by Bootz. Findlay Kathryn. A partner of Ushida & Findlay studio. Architects. > Goo goo pow wow (2001). [Paul]. > Reflexion (2008). with Benjamin Maus. Digital sculpture. 4 pages with pictures in [Bohnacker]. > Fundament (2007). Digital sculpture. 4 pages with pictures in [Bohnacker]. Fischer Hervé. Multimedia artist and philosopher. < L'avenir de l'art. VLB éditeur, 2010. Fischer Scott. wikipedia. Artist and scientist. Interaction, immersion, virtual reality with sound. Dylan Fisher : Nordic Outbreak. Fisher Ebon. Biological aesthetics. Wikipedia : "A transmedia artist hard working at the intersection of art, biology and digital media." [Popper 2]119-121 presents a work. < Network ethics (1992). Bionic ethics system, the Bionic Codes, which evolved into Zoacodes. < The Nervepool (1992). Transmedia world with a "nervecenter" at Nervepool.net. Fishing for Compliments. 'We are “fishing for compliments”: Jan Bernstein, Max Kickinger, Woeishi Lean, Sebastian Neitsch. We work in the fields of: kinetics, interactive design, media design, sound design and music". > Nemore (2010), and following years. < Oscar Fishinger. Ten films. A CD published by the Center for Visual Music. c. 2010. - Quoted by [Berger-Lioret] p. 62. < Aesthetic computing by Patrick Fishwick (ed. )MIT Press, 2006. Fitch Lizzie. Video and performance. > The Re'Search (Re'Search Wait’S) (2009-2010) by Lizzie Fitch and& Ryan Trecartin. Flachot Bertrand. He mixes photographs with digital handwork. > Remise en lignes (2012 c.). Presented en Slick, Paris, 2012. < The computational beauty of nature. MIT Press 1998. - Quoted by [Berger-Lioret] p. 151-152. - With the language ActionScript, can be used as a generative tool. > Flash (1990 c.) Graphical software. < Construisez un site en Flash CS5 sans écrire aucun code. Three pages in Web Design, 12/2010. - Quoted by [Berger-Lioret] p. 170, 187. Flavin Dan Wikipedia . Plastic artist, minimal art, partly with lights. < Series and progressions, by Dan Flavin and Tiffany Bell. Steidel Verlag 2010. Publishers presentation of the book. > Gestalt (2003). Animation film from 3D expression of 4D quaternions (a kind of fractals). 4 pages with pictures in [Bohnacker]. Fleischmann Monika (Wolfgang Strauss and Christian A. Bohn)é . "Since 1987 Fleischmann & Strauss (site in German) develop mixed reality scenarios and work on a theory of Mixed Reality. They create artistic works, research prototypes, tools, interfaces and events intersecting interactive art, science and > Liquid Views (1993), machine. [Popper 2] 111-115 presents works. > The Home of the Brain (1991). 3 pages and pictures in [Grau 2003]. > Murmuring Fields (1999) "Technical construction" . 4 pages with pictures in [Grau 2003]. Fléri Louis. [Couchot 2003]. See Ikam. > Learning to Love You More (2002). by Harel Fletcher and Mirandy July. Distribution of zany instructions on the web. [Greene]. > The Fetch. Performance with Caden Lovelace in in Chercher le texte festival (2013). > Le flipper (1984). A film directed by Renato. Paris ACM Siggraph page. > Objet ordinateur (Computer) 2008. > El Gran Trueque (2008). Exposition. Flores Joscelyn. Editorial manager of Computer Arts. > Fly Bill (1984). The first film by Fantôme. Paris ACM Siggraph page. FMX . Important European and German meeting in Stuttgart. Focal Press. Publishes the series of books "Digital Art Masters" and Digital Painting Techniques. Foldes Peter. Animation cinema. Aesthetic effects of interpolation. Xth international day sof Animation cinema (1975). > La faim (1971). Quoted by [Couchot 2003]. < Computer Graphics, Principles and practice. by James Foley, Andries van Dam, Steven Feiner and John Hugues, Addison Wesley, 2d edition 1990. A great classic for the graphics bases. Fong Sveven. Designer, urbanist, new medias . Bio. - A member of design studio KLF. Fred Forest I stop the time. > Animated crib (1937) The crêche de Fonséranes . More than 90 motorized mechanisms, regularly enhanced, presently driven by a digital system (topped CD, not properly a computer). > London Millenium Bridge (2006). The bridge under music for the Tate Modern. Quoted by [Moulon] p. 18-19 with a photo. Fontana Giovanni. Middle-Ages. An ancestor of modern "caves". Wikipedia. > Castellum Umbrarum (1420). Lioret p.116. Fontcuberta Joan. Photographer. One of the organizers of "From here on", Arles summer 2011. Wikipedia. > Orogenesis (2003-2004). Modified photography. Fontenier Marie-Anne. CEO , Sup Infocom. A founder of Paris ACM Siggraph. Forest Fred . See special notice. Foresta Don. Artist and theorist. Animator of Marcel art and science group. < Mondes Multiples, BàS 1991. (Written in 1986-87). Fornes Marc. Leader of the group Theverymany. Fornieles Ed. Web art, critical. Carlos/Ishigawa page. Forsythe William. Choreographer. Importance of the physical body. > Kammer/Kammer (2006) performed in 2006 at the Brooklyn Academy of Music. [Murray]. > Aéroport international de Pékin (2003 - 2008). Technical presentation in [Burry]. > British Museum Great Court (2000). Technical presentation in [Burry]. > Viaduc de Millau (1993-2004). > Let's Dance (2011). A rather simple, but effective, idea. Participants in the public are invited to select a score, dance upon it in a small closed space (at least 15 seconds). 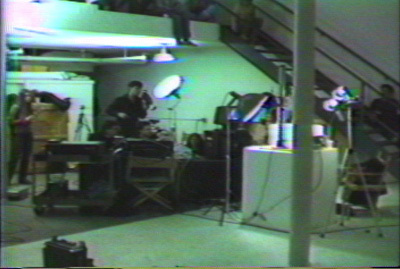 Then the video recording is added to the collection, of which several dozens are projected, offering an animated matrix. > Deep Breath (2017) A VR experience, diving into a universe which space and depth are progressively shown through breath. 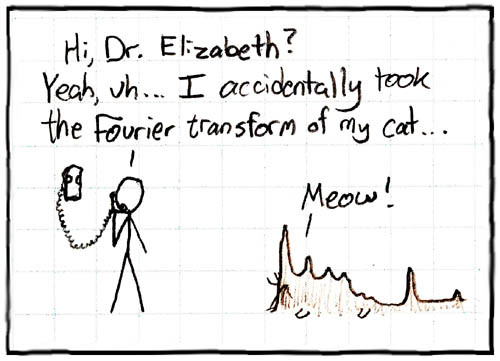 -< Les méthodes rapides de transformation du signal : Fourier, Walsh, Hadamard, Haar. by Jean. Lifermann Masson (?) 2e ed 1979. Fourmentraux Jean-Paul Lecturer at Université de Lille3/Geriico. < Images interactives. Art contemporain, recherche et création numérique. Sous la direction de Jean-Paul Fourmentraux. La lettre volée, Bruxelles, 2016. < L'oeuvre virale. Net Art et culture Hacker. Centre d'études sociologiques et politiques Raymond Aron, 2013. < L'ère post-media. Humanités digitales et cultures numériques, edited by Jean-Paul Fourmentraux. Hermann, 2012. < Being an artist in the digital era. 8 pages in [Worms 2012}. < Artistes de laboratoire Recherche et création à l'ère numérique, by Jean-Paul Fourmentraux. Préface by Michel Menger. Hermann, 2011. The book self-presentation. < Ce que la programmation fait à l'art. Regards croisés avec Antoine Schmitt, Grégory Chatonsky, Samuel Bianchini et Douglas Eric Stanley. 20 pages in [Lartigaud]. < Art et Internet, by Jean-Paul Fourmentraux. Preface by Antoine Hennion. Postface by Howard Becker Editions du CNRS, 2010. < Art et Internet: les nouvelles figures de la création, by Jean-Paul Fourmentraux. CNRS 2005. > Water Light Graffiti (2012) . Interactive installation with water. An article in Digitalarti . A wall, inlaid with LEDs turns on when wetted with an aerosol. > Non-lieu (2016) Prints. He exposes also at Données à voir (Nanterre, 2016) of which he is curator with Sandrine Moreau. > Last Room / Dépli (2013). From the footage he shot in Japan, director Pierre Carniaux teamed up with artist Thierry Fournier to create together a diptych, composed of the film Last Room and the interactive artwork Dépli. This project proposes a new form of cinematographic writing that engages the viewer’s gaze, status, and - Installations at the Bouillants (Rennes), April-May 2012. - > The Nibelungen Treasure (2001-2012), with Olivier Auber and Mâa Berriet . See an extensive description and a video captation. One of the first (if not the first) works of Art developed for a cave system. It had been designed, as for its principles, in 1997. It was for the first time staged in 2000 (ISEA 2000, at the Paris Goethe Institute), then shown at Boston Cyberart festival in 2001, and was finally installed in the Worms (Germany) Nibelungen Museum. And, alas, destroyed. - Note on the authors. Fournier Vincent. Photographer. How far digital? - Works since 2010. Some shown at Show Off 2013. Fourny Pierre. Writing. Poet. Wikipedia. > La séparation (2013), performance presented with Serge Bouchardon during the Chercher le texte festival (2013). > Four wheel drift (2005 c.) Performances using cars and a lot of technology to explore urban space, by Julie Andreyev (and Petra Watson). Page web. - Article (short) by Julie Andreyev. - A more substantial presenation in [Adams]. > Fractal images on the web (1999). Fractint. A software for fractal art. Fradet Patrick. Musician, instrument design. A member of Orkestronika group. Fabio Franchino - Kinteoh - generative art. Francescini Amy. A founder of Future Farmers. > Quartett (2011). Opera from Heiner Müller. Franche-Comté. A French region. See our geographical guide. < Mechanical bodies, computational minds, Artificial Intelligence From Automata to Cyborgs. edited by Stefano Franchi and Güven Güzeldere. MIT Press 2005. - We have here a quite extensive review of the domain : 538 pages in small font. Such a work fits well in the publications of MIT Press, presently the most productive publisher about digital media. As an art critic, we appreciate the contribution of Stephen Wilson "Artificial Intelligence Research as Art", which includes several pictures of his works, on the borders of art and science. Franco Anaisia. Images, sculpture, video. > Controlled Dream Machine (2007). Interactive sculpture. < Paint or pixel, the digital divide in illustration art. Frank Jane (ed). Nonstop press, New York 2008. Franke Daniel . Music, digital spaces. > Spatial Sound Sculpture (2010 c.) by Daniel Franke & Christopher Warnow. Installation, interactive, sculpture, sound, virtual reality. > Zum König Geboren (2009). Franke Herbert A pioneer, in the 1950's, of electronic image. See Nick Lambert thesis. .
> Computer Graphics - Computer Art. Springer 1985. < Apparative Kunst: vom Kaleidoscop zum Computer. Scauberg 1973. > Electronic Einstein (1970 c.) Quoted by [Couchot 2003]. See an image of this work and others in the Recode project. Fréchin Jean-Louis. Proposes the terms, rather synonyms, "augmented design" and "neo-object". < La machine à peindre. Editions Odile Chambon 1994. It deals of artists (Andy Warhol, Roman Opalka, Jean Tinguely, On Kawara...) who choose to "paint like machines", and not of artist-painters robots. Freeman Jason. Music composer and interaction artist. < Compose your own. An opinion on Opinionator blog. < Glimmer : creating new connections. A 15 contribution in [Adams]. Freeman John Craig Artist and teacher, Emerson College, Boston.. His work Imaging Place in [Adams] (14 pages). Frelih Luca A member of group ASCII-ART-Ensemble. > Série des U (2003) by Philippe Bootz and Marcel Frémiot. Elisabeth Fréring: The Faun's meal. > The Faun's meal (2011). presented at Slick Brussels 2013. Morphing from three watercolors. > La maison des immondes pourceaux (1996). "Entertaining show, derisive and critical, of an often excessively technician of Net.Art". [Forest 2] (our translation). > Assoziations-Blaster! (1999). A cooperative work by Alvar Freude and Dragan Espenschied in 1999. It is a website using collectively nodes and links, not directly, but from meta-data built with keywords. [Bootz]. > Softlove Prelude (2017), with Deslias. See our post. > Zero Peut-Etre (2003), as programming assistant. Member of Siggraph Executive Committee, ACM Siggraph. Former president of Paris ACM Siggraph/Siggraph France. Freyer Conny. A graphic designer, member of the Troika group. > All my Life for Sale (2001). [Greene]. Friedlander Paul. Light sculpture. 16pages with pictures in [Algora]. > Wave Function (1991 - 2007). > Records of a lifetime (2004), quoted by [Moulon] pp. 26-30, with photo. > Untitled (before 1976). See an image in the Recode project. Fritz Darko. "An artist, independent curator and researcher. See special notice. > Amore Pacific Display (2003), in collaboration with Golan Levin and Zach Lieberman. Aflagship store in Soho. Two pages in [Cameron]. 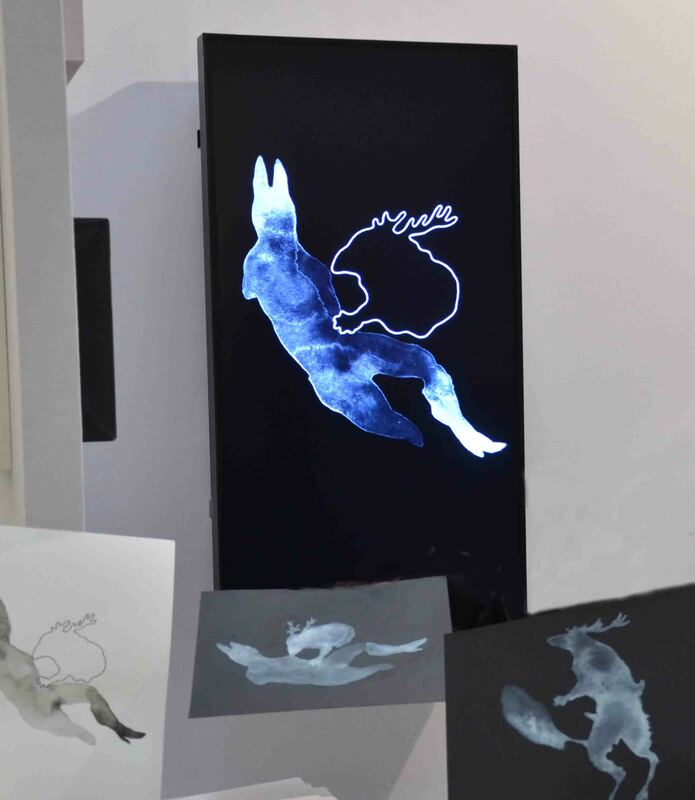 < Rencontres entre artistes et ingénieurs autour du numérique. Sous la direction de Yannick Fronda et Grégoire Courtois. L'Harmattan 2010. Front404. Front 404. A group formed by Thomas voor ‘t Hekke and Bas van Oerle. > Eyestalkers (2014). A street shop window, with "eyes" looking at the passers by. > Panopticons (2010 c;). A combination of street art objects and an interactive installation. Frost Ben. Musician. See Metalorgie. Fry Benjamin (Ben). One of the creators of Processing software, but also an artist in "software art". [Paul], [Wands], [Greene]. > Valence (2000 c. )analysis and presentation of texts. Photo in [Greene]. > Anemone (1999). A site web audience cartography. Photo in [Greene]. > Deconstructulator. Quoted by [Berger-Lioret] p. 76. < Processus créatifs. 20 grahistes, 20 études de cas (notably Ben Fry). Pyramid 2012. > Skinterface (2016). Micromagnets and an immersive environment ("tracked through 3D space... .) create physical sensations. > fluID: Arenas of Identities (2003) by Mathias Fuchs and Sylvia Eckermann. Cited by [Reichle 2009] with a picture, and the comment "Abusing videogames to create art and theatre". Fudge Carl Algorithmic geometrry (rather rigid). > Rhapsody spray 1 (2000) [Paul]. Fujii Hikaru. Interactive video installation. In 2003, takes part in Jouable exposition at l'Ensad with his work Cité probable. 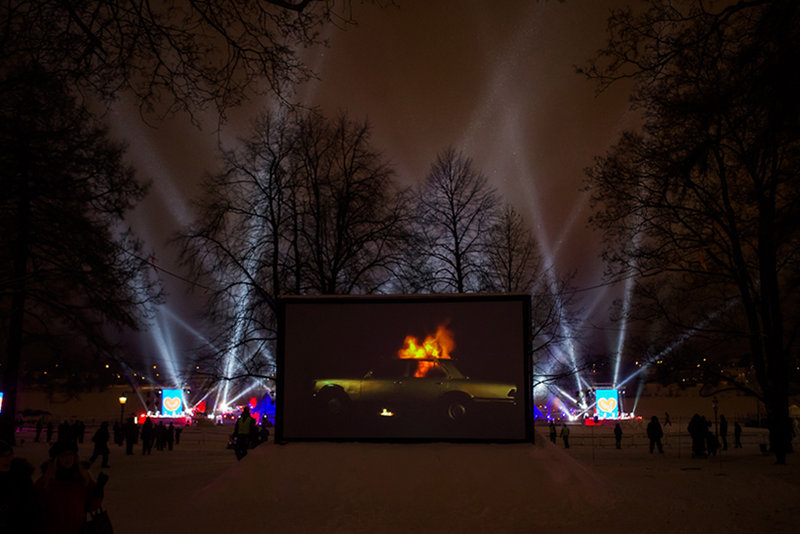 > Anarchive (2015) Complex installation. - His works are presented by [Paul] Installations with cameras and video. [Jouable]. > Morel's Panorama (2003) Closed cicuit video, double temporality. [Moulon] p. 14-15 with a photo. Fujino Koji. A member of Computer Technique Group. Fukuhara Shiho. Bio-Art. A member of BCL. > Bio Sensor (1984). by Takashi Fukumoto and Hitoshi Nishimura. Produced by Tokyo Links Corporation and Osaka University. Links page. > Union Tank Car Cy Railroad repair shop (1958C). Quoted by Terracol for its use of sphere equiparition. A picture. According to Terracol, this dome was the first to use computer resources to generate spherical geometry, with sofware using Fortran (then called Fortransit), on an IBM 650 machine. > Text FM (2000). by Graham Harwood and Matthew Fuller. [Greene]. > The Web Stalker (1997). Complement to I/O/D. > I/O/D (1997). Web browser with artistic aims. By Matthew Fuller, Colin Green and Simon Pope. [Greene] pp 85-90. Fumeron Alexandre; Motion design. An article, four pages, by Emilio Ercolani in Créanum de feb-march 2011. < Composition et nombre d’or dans les oeuvres peintes de la Renaissance. Proportion, symétrie, symbolisme. Editions Vincent Réal, Paris 1950. Rather old, but interesting analyses, and a synthesis of the work. Fur. "Since 2001 The artist duo //////////fur//// (Voker Morawe/TilmanReiff) creates multi-sensory artefacts related to the construction and social aspects of computer game culture. Their interactive installations combine game-logic, media criticism, apparatus parody and childhood memories into engaging man-machine experiences, oftentimes altering the view on the relationship between man and technology. Beside the main artistic question of alternative user interface humor, group experience and hormones are the key points of their > Legshocker (2002). See pain. > Painstation. (2001). See pain. La Fura del Baus. Theater company. Impressive home page of their Website (looked on 9/2/2011). - Quoted in many places by [Picon-Vallin]. Furht B. Florida Atlantic University, Boca Raton. < Handbook of multimedia for digital entertainment and arts. Springer 2009. Furuhashi Teiji . Founder of the Dumb Type group. Futur en Seine Festival organized on Spring by Cap Digital. Future Farmers. Group formed by Dan Allende, Ian Cox, Amy Franceschini, Sascha Merg, Josh On, Stijn Schiffeleers and Michael Swaine. 6 pages in [Cameron]. > They Rule (2001), by Josh On and Future-Farmers. [Greene] p. 137-138. Page of the Washington Post. Future Systems. Wikipedia Architects studio (Jan Kaplicky + Amanda Levete). Magazin Selfridges in Birmingham, 2003 (photo and comments in [Picon] p. 69). Futurists. An artistic movement, between the two World Wars. Predigital for fragmentation and stress on the machines. - Several mentions in [Grau], [Bootz].